Home / Odia-news / 7th Pay Commission News Today: Employees government threatening ? 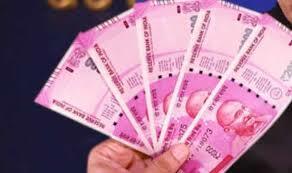 7th Pay Commission News Today: Employees government threatening ? 7th Pay Commission: Employees government threatening? The Uttar Pradesh government had warned the State employees not to resort to any means of protest demanding pay hike beyond the recommendation of the 7th Pay Commission. However, it seems the employees are in no mood to bent down irrespective of any threatening. Around 100,000 State government employees are likely to take out a rally under the banner of Uttar Pradesh State Employees Federation demanding pay hike, something that is yet to be met, including the pension-related issues. The employees had already submitted a notice about their protest- strike from October 25 to October 27. However, the State government warned that the salaries of the employees taking part in the strike will be cut, ZeeBiz reported. Reports are there that the UP government may announce 7th pay commission-linked dearness allowance (DA) and bonus for the employees in late October. Moreover, reports are there that the Yogi government has accepted the demands of the employees and the concerned department may act next month in this regard. If the reports are to be believed, the employees will not take out any protest rally today. On the other hand, the Bihar government on Tuesday cleared a DA by two percent beyond the recommendation of the 7th Pay Commission with effect from July 1, 2018. Meanwhile, the demand of the Central government employee for the hike in their minimum pay is yet to be considered by the Narendra Modi government. The Central government employees are presently getting a minimum pay of Rs 18,000 which they say not enough to have any impact on their financial position. They are demanding a hike of Rs 8000- Rs 26,000- an increase in the fitment factor by 3.68 times from the existing 2.57 times.